The students' interview highlighted both the challenges and courage associated with their movement. It is very clear that the Parkland teens are not letting anyone take ownership of their campaign — and that they are highly committed to ensuring that rapid and effective action is taken to help end gun violence. Sunday, March 18, 2018 | On Sunday, students who survived the shooting at Marjory Stoneman Douglas High School — and are now actively involved in gun control advocacy — sat down for an interview. During the interview, the Parkland students told CBS' 60 Minutes how they're walking the fine line of accepting some help from politicians, but never enough to let them co-opt the movement. Correspondent Sharyn Alfonsi interviewed Alex Wind, Jaclyn Corin, David Hogg, Cameron Kasky, and Emma Gonzalez, the founders of the Never Again movement. Alfonsi described how, in the hours after the shooting at Marjory Stoneman Douglas High, which left 17 dead, the teens came together to create a gun control advocacy campaign. As Alfonsi explained, the Parkland teens conducted interviews and used social media to gain support for their cause, ultimately organizing a national school walkout day and convincing Florida's governor to raise the age for buying a rifle to 21 — among other endeavors. Sarah Friedmann is a writer and researcher specializing in human rights, international affairs, security, and public policy, with a particular focus on women's issues. "Not one more. We cannot allow one more child to be shot at school. 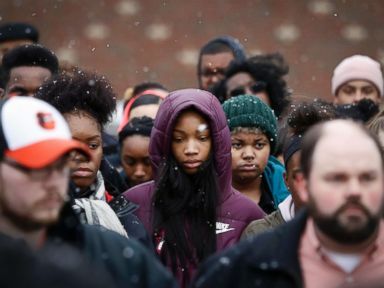 We cannot allow one more teacher to make a choice to jump in front of a firing assault rifle to save the lives of students," the organizers say in their online mission statement.